Love Your Current Carriers? So Do We! 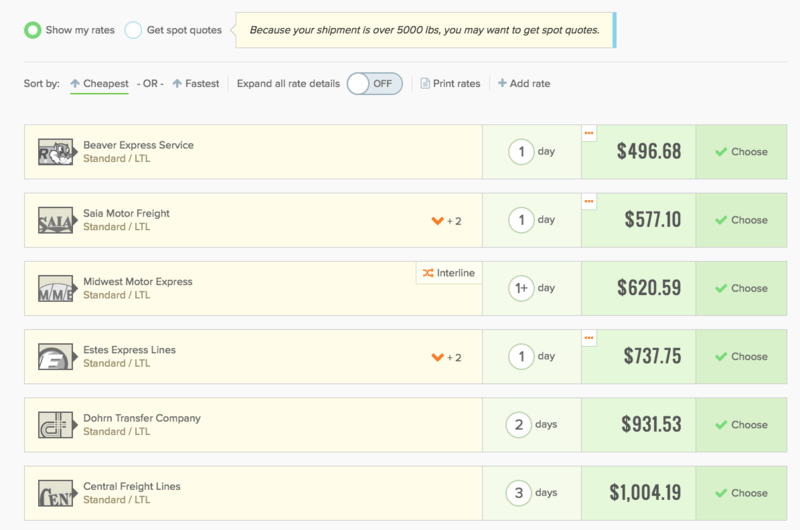 Our goal at Freightview is simple; make your existing rates easier and more accessible to compare all together. You love your current carriers, and we’d never want to do anything to get in between that relationship. Our aim is to save you the time and headache of gathering all of your quotes to make the most informed business decision by instantaneously pulling your rates into one dashboard view. Sometimes potential clients think Freightview is a broker or a carrier with a goal of replacing your current trusted carriers and that is simply not the case. We use the magic of API technology to get all your current rates in one place. Beyond using Freightview to quote and book shipments, it is your decision on how involved you want to remain with your carriers. If you decide you still want to talk to your favorite pal at your local terminal you can use our “Print BOL only” function and call in the pickup request yourself, or you can dispatch it online. One of the coolest things about Freightview is that as soon as the carrier updates your rates and tariff on their website those updated rates will be live when you go to pull your quotes on our platform. This can save some headache after new pricing is implemented. Your billed rates will match your expected rates because they are coming directly from the carrier—there is no waiting for a human to manually load new rates into a TMS. Are my preferred carriers even supported by the Freightview platform? Freightview has over 80 carriers currently accessible via our platform. That includes all of your major LTL carriers. If you attempt to add a carrier we do not work with then we record your vote to implement a carrier. The more votes for a carrier means the quicker that carrier will get implemented on our platform. So just because we don’t have one of your favorite carriers right now, doesn’t mean we never will! Can you help me avoid GRIs? We sure can. Although this negotiating is ultimately up to you and your team, the Freightview platform gives you a wonderful tool to "foster healthy competition amongst your carriers for every single shipment. Using our platform, you now have all your carrier rates for specific lanes side by side. That means you can tell Carrier A that they need to come down on price if they want to compete with Carrier B. There is a previous post linked here teaching you how to pull reports straight out of our platform that will come in handy when you’re negotiating pricing. You’ll feel like you’re being wooed by your carriers in no time. Sign up for a free trial of Freightview today and see some of our benefits firsthand.